Join us in transforming our community with the construction of the Washington Adventist Hospital in White Oak, MD. Together we can invest in our future. two profiles were found for Ourcommunitytransformed.org in social networks. Among other social networks the website is represented in Twitter and YouTube. The web server used by Ourcommunitytransformed.org is located near the city of Scottsdale, USA and is run by GoDaddy.com, LLC. There are many websites run by this web server. The operator uses this server for many hosting clients. In total there are at least 5,899 websites on this server. The language of these websites is mostly english. 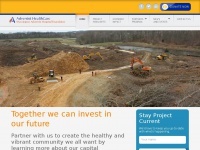 The webpages of Ourcommunitytransformed.org were developed using the programming language PHP. The content management system WordPress in the version 4.7.5 is used. The HTML pages were created with the latest standard HTML 5. Due to the robot information on the webpage, the following actions by webcrawlers are not allowed: using the description of the website from the Open Directory project. All other actions by webcrawlers are allowed. 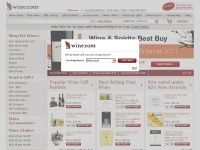 Chris-floyd.com - Chris Floyd - Em­pi­re Bur­les­que - High Cri­mes and Low ..
Yelp.com - San Fran­cis­co Restau­rants, Den­tists, Bars, Beauty ..
Wine.com - Wine.com - Wine, Wine Gifts and Wine Clubs from the #1 ..